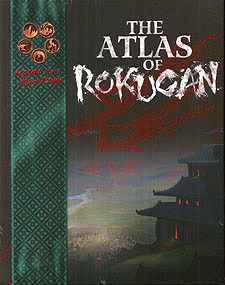 For twenty years, the Legend of the Five Rings card game and role-playing game have explored the world of Rokugan. Now, for the first time, the Emerald Empire at last gets a single-volume atlas describing and mapping its lands, castles, and cities. This book contains a comprehensive description of Rokugan's provinces and settlements, along with detailed explorations of its three major cities (Ryoko, Owari, and the two Imperial Capitals, Otosan Uchi, and Toshi Ranbo). Twenty maps depict the three cities, the lands of the Great Clans, and eight of the Empire's most famous castles.